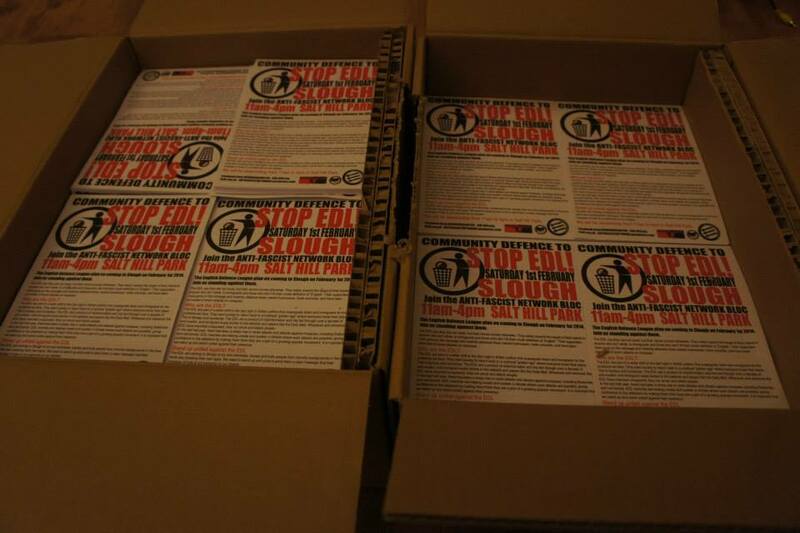 It’s now only 10 days till the AFN demo against the EDL in Slough on Saturday 1st Feb.
Tell your friends and relatives. 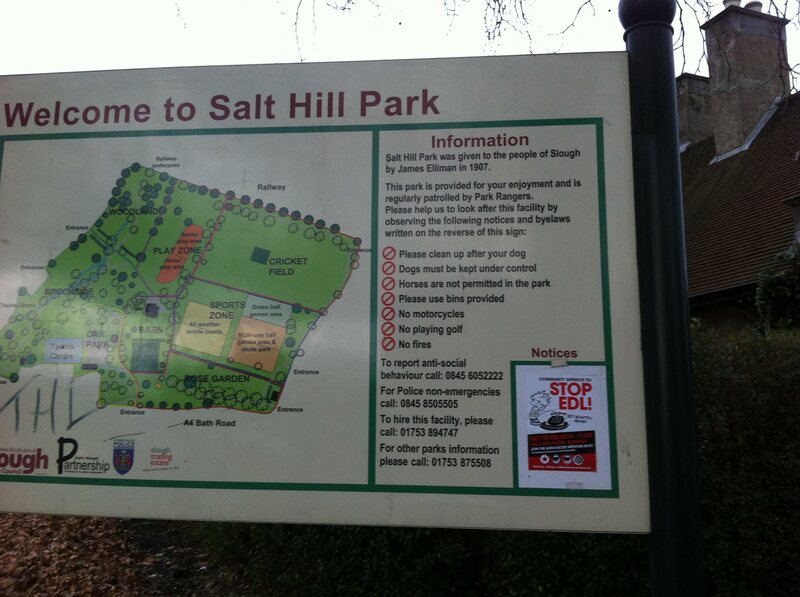 Organise yourself to get there and make sure that the EDL’s first demo of 2014 is also their last! Things are moving rapidly. As mentioned in our report on recent actions in Lincoln and London the EDL seems to be fragmenting and whole divisions are defecting to a loose alliance of splinter groups (the Infidels, South East Alliance, Casuals etc.) 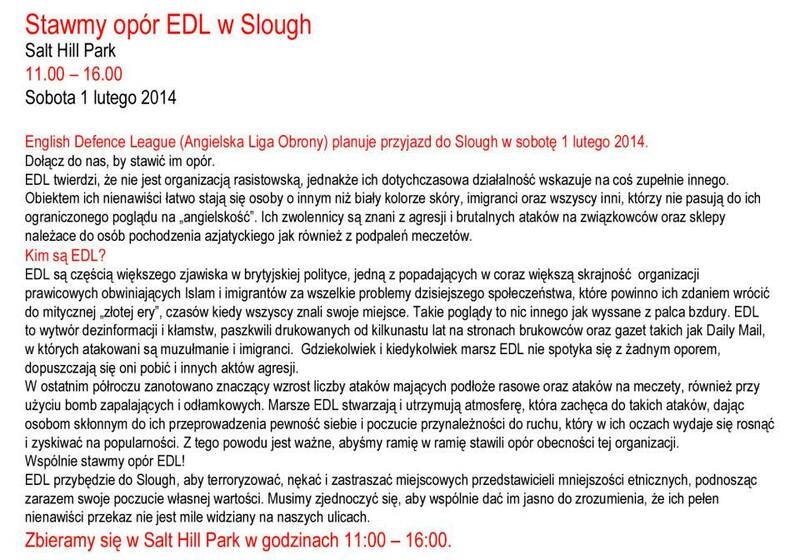 So the EDL may be struggling for numbers in Slough. 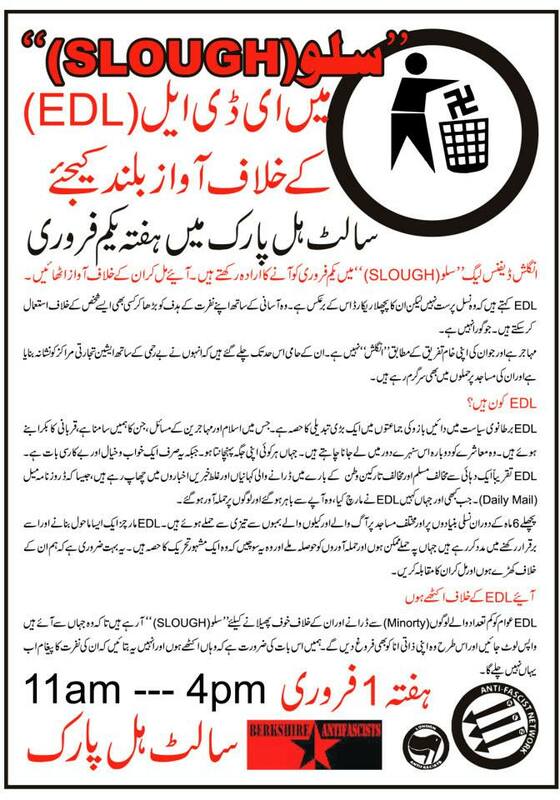 This is all the more reason for us to mobilise and to make sure we outnumber them and they have to scuttle out of Slough with their tail between their legs.